Our chemical peels improve and smooth the texture of the facial skin using a chemical solution causing the dead skin to slough off. Peels also help to soften the depth of surface lines, clear acne, clear hyper-pigmentation, smooth and even your skin texture and tone. 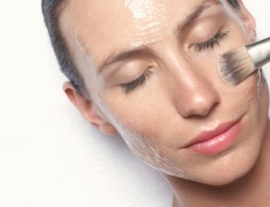 The VI Peel contains a synergistic blend of powerful ingredients suitable for all skin types. This peel provides dramatic results with virtually no pain, no skin preparation and little downtime. Why wait weeks or months for results? Enjoy radiant, younger looking skin in about a week!